Sleeps 6 – King with ensuite shower, double and bunk rooms. 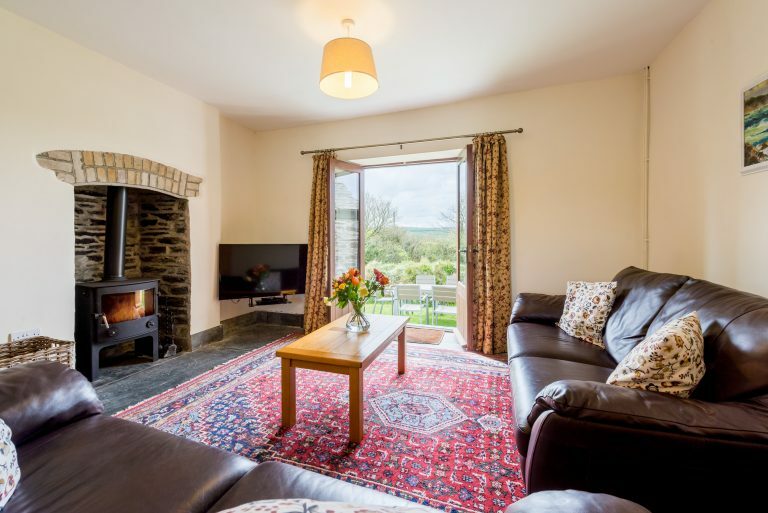 Set in the beautiful Valency valley near Boscastle, our self catering cottages are the perfect place to stay for a relaxing holiday in wonderful surroundings. At the centre of the family farm, the cottages are all four star and have everything you need for a great Cornish holiday including games room, fully equipped kitchens, WiFi internet access and central heating. West Park and East Park have wood burners. Perfect for a chilly evening. Walk the farm and the magnificent coastal footpath. Visit Boscastle Harbour, Tintagel Castle, Bude and beautiful beaches for surfing or just bucket and spade fun. 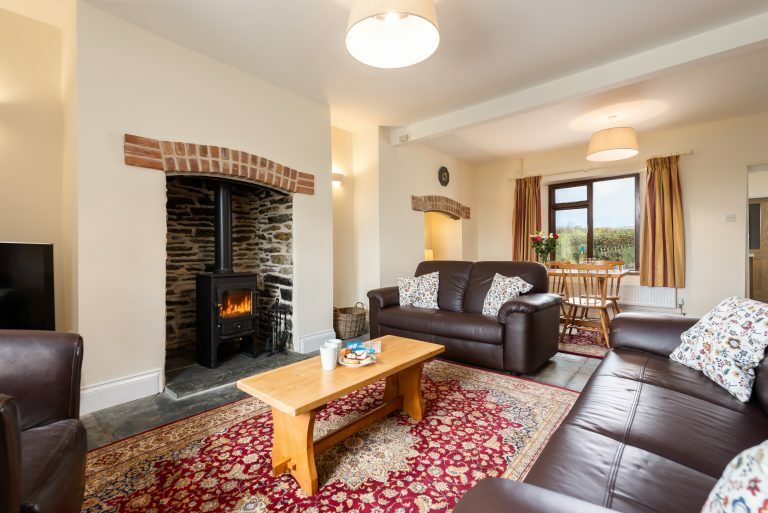 Cargurra Park Farm is the perfect location from which to explore North Cornwall and beyond. Boscastle is five minutes away, while Tintagel, Bude, Launceston and Wadebridge are all within half an hour. Magnificent scenery, quaint villages, sandy beaches and quiet pubs with local food and local ales and are the perfect recipe for a wonderful holiday. We’re only and hour from the M5 at Exeter..
West Park and East Park cottages sleep 6. There are also cottages sleeping 4 at the same location please see www.cargurra.co.uk to book. Our cottages are well placed for the beautiful beaches of North Cornwall. Bude is 20 mintues away with large sandy beaches it is a nice seaside town. Widemouth Bay has a beautiful beach with large car parks and is ideal for surfing. Half of Widemouth beach is dog friendly. Tintagel has a wide selection of beaches, some easy to get to and others much quieter due to accessibility. The rugged North Cornwall coast is a beautiful backdrop for a day on the beach, Crackington Haven is the nearest beach at about 3 miles away. Great for rock-pooling and with good surf it is well worth a visit. For more information about beaches and the local area see the Things to do tab at the top of the page. We were so impressed with the cottage, its facilities and the Games Room. We have really enjoyed the local sites and offerings of Boscastle and beyond. Best British holiday ever. Thank you so much! This is the second time we have stayed at Cargurra. Another fantastic week. Weather has been fantastic. The children (9 and 13) have loved seeing the guinea pigs and chickens this year. Its been a very relaxing and peaceful week.